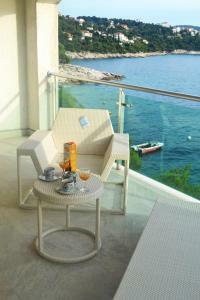 Featuring air conditioning, Apartments Petrovic is positioned in Primošten, 44 km from Split. There is a private toilet with a shower in each unit. Sibenik is 13 km from Apartments Petrovic, while Vodice is 19 kilometers away. Apartments Petrovic ~0.1 km, Primosten Featuring air conditioning, Apartments Petrovic is positioned in Primošten, 44 km from Split. There is a private toilet with a shower in each unit. Šibenik is 13 km from Apartments Petrovic, while Vodice is 19 kilometers away. Rogoznica ( ~ 11.7 km ): 399+ apartments. Beach Raduca, Primosten ~ 4,3 km from Apartments Petrovic Gravel beach: ideal for families, with restaurant, with caffe bar, equipped with showers. Excellent choice of watersports. 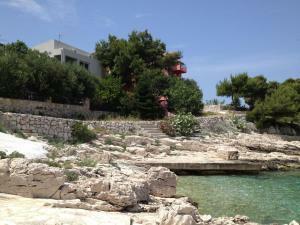 Beach Zecevo, Rogoznica ~ 7,2 km from Apartments Petrovic Rocky beach: ideal for families. 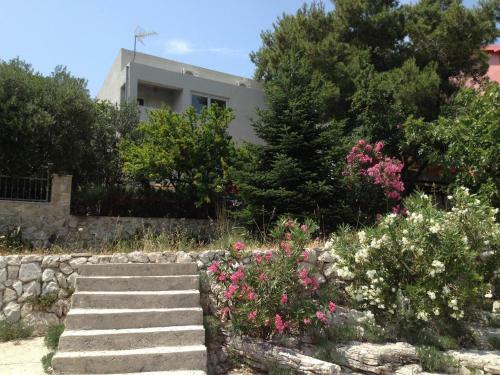 Beach Rezaliste, Brodarica ~ 7,9 km from Apartments Petrovic Gravel beach: ideal for families, with restaurant, with caffe bar. Excellent choice of watersports. Beach Solaris ~ 8,8 km from Apartments Petrovic Rocky beach: ideal for families, awarded with blue flag, with restaurant, with caffe bar, equipped with showers. Excellent choice of watersports. Beach Jaz ~ 8,9 km from Apartments Petrovic Rocky beach.